are factory finished,pre hung or sliding door sets which oberserve all the most recent performance while meeting different requirements,regarding to fire resistance ,water resistance ,soundproof,and enviroment friendly ect.Those apartment are extremly suitable for modern apartment entrance and interior use . Various kinds of door facing to choose from ,including MDF based melamine board for interior apartment door use,and Forimica HPL or Fireproof board for modern apartment entrance door. 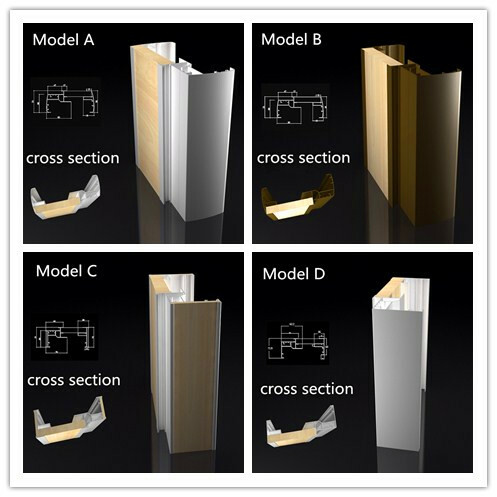 3)Door core:aluminum honeycomb and aluminum tube infilling which will give better impact resitance than other door with chipboard or honeycomb. 4)Thickness of door slab:45mm for apartment entrance door ,40mm for interior apartment door.all door edge are aluminum profile. 14)GMT/CROW/NHN door closer ,door stop ect will be available in our factory too. 16) shipping service:we can offer door-door service to most of the cities in North america ,Europe,Australia and CY-CY service to major part all over the world.